Vice is finally published! 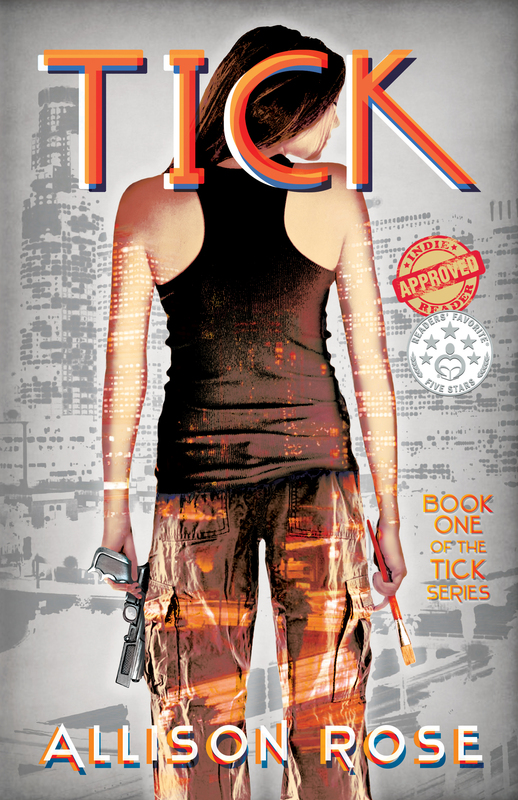 Part two of my YA Sci-Fi series has made its way into the world, three years after the release of the first book, Tick. I did not plan a pre-release. I have not sought many ARC reviews. 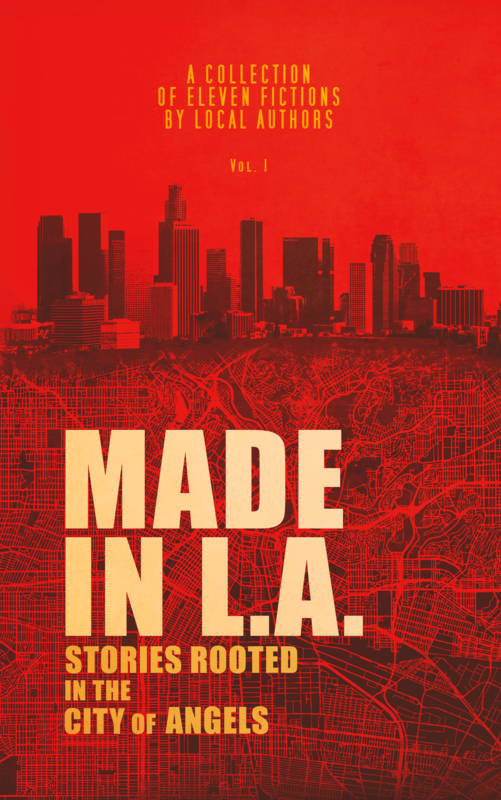 The birth of Vice was a challenge to say the least, and I wanted to share what I have learned about the process of writing this book, what I hope to gain from the experience, and some advice and wisdom to other struggling authors. Let’s go back to the beginning. I wrote the first draft of Tick in three and a half weeks, a serious feat for any writer. The story poured out of me from beginning to end. I knew little about where the story was going beyond a handful of major plot points, and I didn’t have an ending. I got up every morning and hammered out 5-8 thousand words a day, seeing maybe only the next one or two chapters in my head. It was during the process of writing Tick that I discovered the ending, that I realized the purpose behind the story, that I was revealing a part of myself that needed to be healed in not only the process of writing Tick, but sharing it. I spent an additional seven months rewriting and editing Tick, but it was an almost magical writing experience. If writing Tick was like capturing lighting in a bottle, writing Vice was more akin to pulling teeth. The story of Tick is thematically personal: teenage Jo Bristol struggles with her desire to express herself artistically while battling some nasty demons in her mind, a theme that is common among artists. 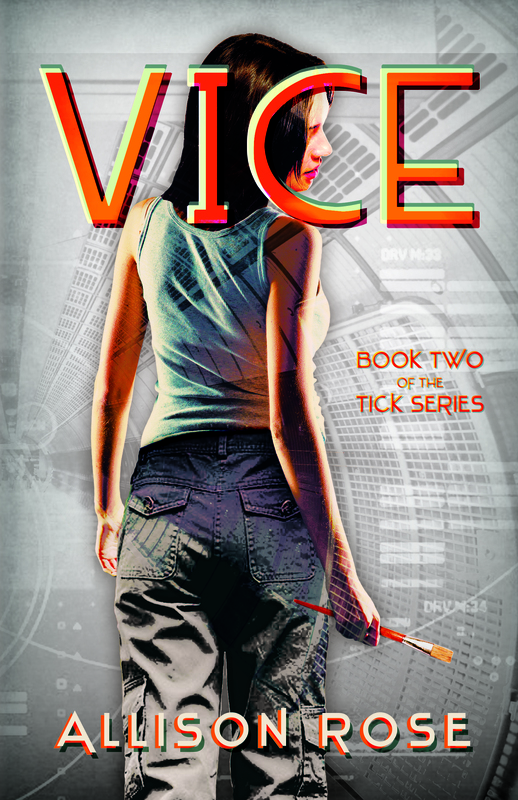 Tick is the story of my past, and to continue the series, I knew Vice needed to be more present. I surprised myself with the parallels as Jo struggled to feed her creative muse and continue to prove herself as more than a one-hit-wonder all while suppressing the fear she would return to her former, chaotic self. I was, in effect, suffering through the same struggle. It was my fear that Vice would not match the magic of Tick, that maybe I didn’t really have what it takes to be a career novelist, that perhaps all I really had was that one halfway decent story to tell. Insecurity and fear does all kinds of damage to a creative force. As I struggled to convince myself Vice could be a book to be proud of, I simultaneously struggled to align Jo’s story toward an ending I couldn’t yet see. I couldn’t see it, because I was currently living it. 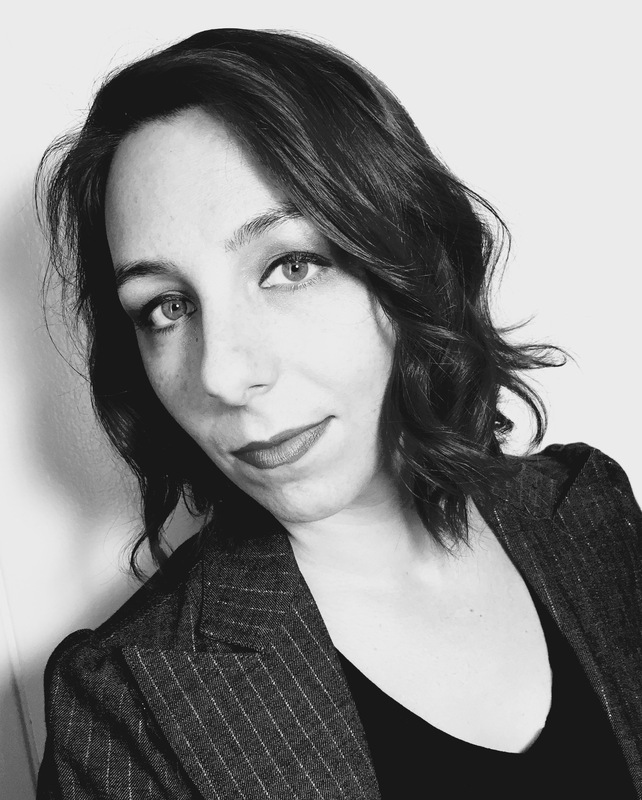 As a writer, I am definitely a “pantser”—meaning I typically find my stories as I write them. For Vice, I tried to plot it out, as a series requires more forethought and planning for foreshadowing and a streamlined overall story arc. But as I began writing what I plotted for Vice, it never quite felt right. The story felt too forced, too separate from Jo’s true motivation and personality. So I replotted. Tried writing the new story. Still, it didn’t feel right. Scrapped it all again. I have deleted more words from the dozens of drafts than are in the final print of Vice… at 120k words. It wasn’t that I wasn’t writing the book, I was simply writing the wrong book. I’d written Tick in less than a month, how could the follow-up be so much more difficult to get down onto the page? I knew the themes, I knew where I intended to land the story at the end, so why was the beginning so damn difficult? Turns out, I had a different kind of writer’s block not often talked about, but caused by that all too familiar emotion: fear. Most people talk about “writer’s block” as the frustrating phase where words don’t make it onto the page. There’s a lot of staring out windows, Twitter rummaging, perhaps the house ends up cleaner than it has in months. These phases happen to all writers (hell, I’m in the middle of one right now! ), but that wasn’t the kind of writer’s block I suffered with Vice. I was writing. And deleting. And writing some more. And scrapping the whole manuscript to start over. Because the words were coming from my head, not my heart. The saying goes that if you aren’t crying while writing the scene, no one will cry while reading the scene. The same can be said for any emotion: excitement, frustration, worry… While writing all those drafts of Vice from my plot notes, I wasn’t “in the story.” I could visualize what was happening, but there was no true feeling. It took me awhile to realize I hadn’t let myself back in Jo Bristol’s soul after completing Tick. It was as though the next phase of her journey was stalled because I hadn’t allowed myself to reconnect with her as a character. What did Jo really want? What were her motivations? Sure, I could plot myself from Point A to Point B in my story arc, but why? What exactly was I even trying to say in Vice? After Tick was released, a lot of people asked when the next installment would be released (yay me for writing in a cliffhanger! Eesh). I told them a year. That seemed perfectly reasonable. Initially, that was my goal. But the deadline passed, life shifted and left less time to focus on the story. Then another year passed. And another. By the start of 2018 I almost surrendered to the notion that the book would never be where I wanted it to be and I should just release it as is. But i couldn’t do that. Tick was a magical writing experience for me, and people connected with my characters and the story, and I couldn’t let them down with a crappy follow-up. I couldn’t seem like a one-hit-wonder, like I wasn’t up to the task of completing a full series. As the fear and insecurities built up, and the hole got deeper and deeper, I found myself writing other things, especially screenplays. There was that spark of madness again, the thrill of new stories that poured out of me uncensored, eager to be put on the page. Yet, day after day, I was reminded that I had a book to finish. I had a choice: either I could wait for the story of Vice to come to me, or I could buckle myself into my desk chair and figure out what the hell was untruthful about the story in the first place. I will admit, I’m not as educated in writing as a lot of writers, but I learned early on that I had a knack for wordplay and the rare ability to evoke emotion with a well-crafted phrase. Writing and storytelling has always come easy to me, whether it be in the form of a screenplay, an op-ed for my high school newspaper or a blog post, or even a song (I do honestly believe that studying good lyricists can help build the ability to turn a phrase). I’ve known some people who spent all kinds of money to achieve their MFA from [insert well-known university here], and then expect that because they have the tools to write an amazing novel, it should be that simple to crank one out. But storytelling is so much more involved that that. Sure, you can have a theme in mind. Maybe a good hook. A character. A setting. Yet the process of combining all of those elements into a story that people will actually give a crap about requires something else entirely. It requires that the writer actually have something to say. That was where I struggled with writing Vice. I didn’t know what I was trying to say. I already had the bones of the story (character, setting, locations, etc), but what was the point of it all? I had put my main character through the ringer and helped her find her way out, so why was this story still going? And, more importantly, why should my readers care to continue on this journey with Josephine Bristol? While struggling to tell an honest story in Vice, it finally occurred to me that if Jo Bristol’s journey was still evolving, then so was mine. At the end of Tick, Jo paints a mural that is meant to symbolize her growth as a person and her internal discovery that she uses to fight the darkness that lives within her to feed her muse, and therefore bring light to the world around her. It is exactly how I feel about the story of Tick. I poured myself into that book in a way I had never done before, and those who read it found it inspiring and enlightening. Having Tick out in the world is something that continues to bring me joy and pride. And yet… I needed to prove that I could do it again. I was unsure if I could recreate that kind truth in a story. And I realized… that was Jo’s fear as well. She had painted this mural, claimed she was healed and wiser than before for having gone through everything, and yet when people came asking for more she was unsure if she could deliver twice. Was she healed? Could she still create meaningful art if her life is roses and rainbows? What would that do to her identity as a person? And how much longer before she cracks and reverts back to her former self? Does the magic happen somewhere between those two extremes? Finally, I had my ah-ha moment. That was the story Jo wanted me to tell. Not just the journey, but the questions. Problem was, I was right in the middle of asking myself those very questions. I didn’t have an answer for her. So instead of rolling full-steam ahead into my story, Jo Bristol and I danced in a do-si-do, caught in our never ending catch-22. It took three years to realize that no matter what, I would be in this predicament every time I would sit down to write another book, so I might as well buck up and just get ‘er done. The funny/frustrating/enlightening truth about being a writer is that it is unfairly difficult. Putting together a realistic story with characters and plot and setting using some words strung one after another seems impossible until it happens. We’ve all read books by authors who were clearly phoning it in, or were trying to mimic some other famous author, or they were simply trying to prove they learned how to write decent syntax in their MFA program. Some of the simplest stories are the ones that stay with us because they were created with the intent to evoke emotion. How many children’s books can you list that still warm your heart? What’s the one novel you turn to when you’re in the mood for a good cry? What about that suspense-fueled thriller that you pull out to quell boredom? The best storytellers have a story to tell, one they need to tell. In the process of writing The Tick Series, I have learned that I have a responsibility as a storyteller not just to keep the fans happy, or to make money (although that’s always a goal, let’s be real). It’s not my intent as a storyteller to prove how “talented” I am, or how prolific I can be when I really put my mind to it. It is my responsibility to those who read my work to take them on a journey that is honest, introspective, and thought-provoking. Readers are smart. They know when the wool is being pulled over their eyes. Yes, the business of writing and selling books has the goal of entertainment on one end and financial gain and notoriety on the other, but if that is the sole motivation of the author, then what’s the point? I have things to say. I have a lot to say. It might not always bleed onto the page as easily as I would like, but I’m bleeding nonetheless. Vice pulled from me a lot of blood, sweat, and tears, and three years in the making, I can finally call it complete. But the journey isn’t over. I still have another book to write because Jo’s journey isn’t over either. I have a feeling the process of writing Mark—part three—will be even more painful. I’m just happy to have so many people on my side as cheerleaders, encouraging me on. These people cheer because they read Tick and it meant something to them, which is why the fear of not getting it right the second and third time around is so strong. But if Josephine Bristol can pull through and do it, so can I. Thanks for reading! And I hope you get a chance to check out Vice, available now in paperback and ebook on Amazon!